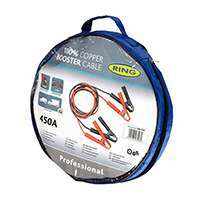 Everyone should have a set of jump leads in their car – yet they’re one of the things you’ll never miss until you really need them! 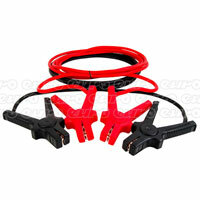 Be prepared for anything by picking up a quality set of jumper cables from Euro Car Parts today. 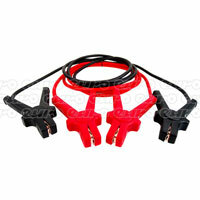 Jump leads help give the spark of life to a worn-out car battery, by hooking it up to a battery of the same type. If you’ve run down your battery by leaving your lights on all night, a pair of jump leads and a bit of help from a friend will get you on the road again. 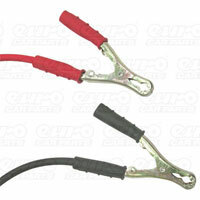 Good quality jump leads should have big, chunky clips with thick plastic insulation on the handles to avoid shocks. They also need to be long enough to connect two batteries together safely (the cars should never be touching when you’re jump-starting a battery). 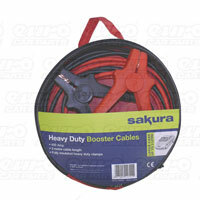 Too many people leave buying jump leads until it’s too late, but by picking up a set from Euro Car Parts today you’ll be ready to get a flat battery going again – or to help out a friend. Pop in to one of our 200 stores around the country, or order online with free UK delivery.